I'm sorry I've been so quiet over here! So much has happened over the last few months it's been a little bit of a whirlwind! Christmas and new year were excellent, and super busy for me, I then managed to sneak in a little skiing break to Scotland which was very much needed and it blew/rained and snowed away some of the cobwebs and got some fresh ideas flowing. Then I caught up with some figures and made some big business decisions about which directions I will be pushing the business in 2014. I have decided that I will no longer be offering screen printed tote bags for now, and tea towels are going to have a dabble in the digital printing world to see how we get on. 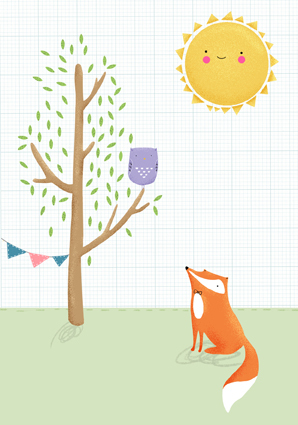 I will be launching new ranges of prints and cards at Spring Fair NEC (which is next week!) as well as a spruce of the logo and condensing my illo website and this into one. So, I've just about caught my breath and then I'm running headfirst into the world again!